We are proud to announce the integration of new broker to Investfly. 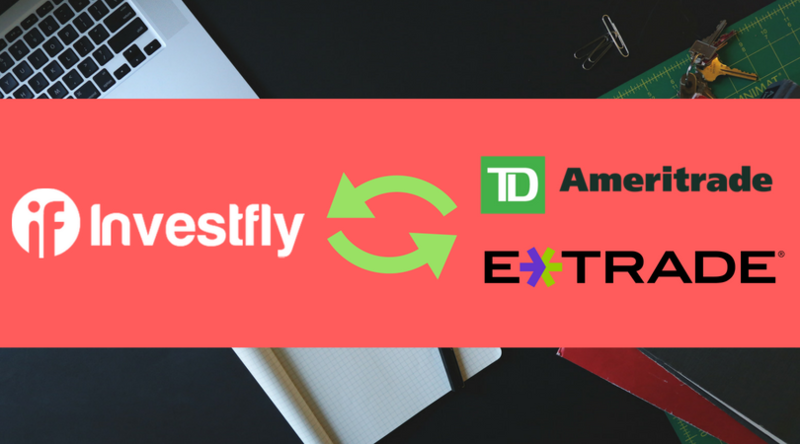 TD Ameritrade and ETrade users can now connect their broker account to Investfly and perform Automated/Alogrithmic trading. Apart from new broker integration. User can now limit their automations based on stock exchange. They can select one or more exchanges and run their algorithm against only the stocks belonging to those exchanges. Investfly™ is not a broker dealer, transactional intermediary, counterparty or investment advisor. Investfly™ does not provide investment or trading advice. Any investment decision a user of the Investfly™ platform may make is solely at his or her own discretion and risk. Trading in financial instruments is risky and can result in losses greater than the trader’s initial margin deposit. Hypothetical back-testing and real-time track records should not be relied upon in predicting future performance. Investfly™ and its agents, brokers, affiliates or employees do not prepare and cannot be responsible for data and data compilation contained in or derived from back-testing and simulation features. Copyright © Investfly LLC. All Rights Reserved.